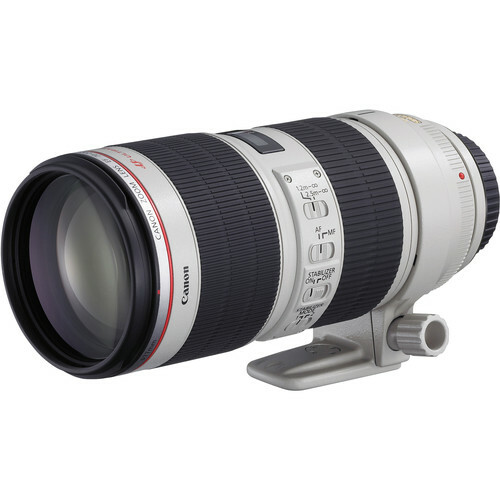 EF 70-200mm f/2.8L IS II USM Lens is rated 4.9 out of 5 by 2915. Rated 5 out of 5 by Shepherdboy from Buy it and cry once, pass on it and cry at every photo I read a lot, saved a lot and finally decided based on the headline adage. What I have noticed using this lens in place of the 18-135 STM I got with my T4i is the color and photo quality that I now see which I did not get before. Same settings pretty much (school events, scenics, news events) but there is so much more to the photos. It is difficult to put it into words, but using the same camera in the same settings the photos are so much more. The focus (for sports) is quick and accurate. Inside the f2.8 gets me nice photos (RAW) that I can do some post fixing when needed. Other than the pain of initial purchase, I am so very pleased with this lens. Rated 5 out of 5 by Maine Brain Media from Lens for the ultimate combo I shoot photos and video of Weddings, Marathons, Boudoir, Scenes, Chroma Key and General Shooting. It is Oh So Sharp and the Depth of field control is very easy to achieve. It is not too heavy, Easy to handle and fits just right in my hand. I can work quickly with this lens throughout the entire focal range No Complaints. If you are a Pro or an Enthusiast this is the best investment in glass you could possibly start with. P.S. B& H is very simple to buy from and I am glad that the lens was purchased here. We were facing alot of bad choices with other vendors. Just buyt it here and no regrets. Simple. I like everything about this lens. Rated 5 out of 5 by Anonymous from The best zoom lens I've ever owned. I'm not sure that by comparing photos that I'd be able to detect much of a difference between the original lens and this new version. But in shooting HD video (which is what I use my Canon 5DmkII for primarily) there's a huge difference. Even in Canon's L-series, most of the zooms do ramp--they don't stay at a perfectly consistent f-stop through their entire range. They can get away with that because the ramping doesn't register a full, measurable stop. This lens has almost no visible change in light from wide to tight. And for HD shooting, that's a HUGE distinctive. The lighter weight makes a difference & I'm even enjoying the re-designed matte lens hood. Rated 5 out of 5 by Anonymous from Wow - This is a really great lens I had been using the stock EFS 18-135mm Image Stabalizer lens that came with my Canon EOS 60D. Really nice lens, but I couldn't get close enough shots of kids on soccer field and lighting was too dim to get good hockey shots indoors. The EF 70-200mm f/2.8L IS II USM Lens fixes that. This is an awesome lens. Gave me everything I was hoping for in the sports areas. Got benefits of some great wildlife shots (i.e. an eagle carrying a fish). I cannot really list any cons, the weight is heavy, but it is made really well, the cost is around 1800, but worth it. If you can pay the price you will not be disappointed. Rated 5 out of 5 by Mojo from Absolutely stunning! 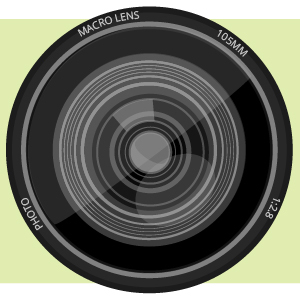 I use this lens for flowers, portraits, dogs and cats, landscapes, birds, etc. It is better than most primes and has stunning IQ at all focal lengths, even on a high pixel density camera like the 7D. The color and contrast is superb. There are only two downsides - size/weight and cost. It works exceptionally well with 1.4X and 2X tele-converters. The 2X slows down the AF quite a bit but accuracy remains high and the IQ with TC's is unbelievable. If you need a high-quality lens in this focal range and are not put off by the size/weight or the high cost you can't go wrong! Rated 5 out of 5 by Eagle eye Ed from Beautiful Lens For well over 7 years I have shot professionally with the version 1 lens and recently sold it to a friend. I photographed weddings, engagements, portraits, sports, and landscape. The lens stayed attached to my camera 90% of the time. I debated for quite some time between the 200mm 2.8 lens and the version II, so I decided to go for the new 70-200mm and I'm so glad I did. The images are much more brighter and contrasty than my previous lens. It performs so much better. The focus is much more consistent and definitely well worth the price if you're serious about photography. This lens produces incredible images! Rated 5 out of 5 by Anonymous from Outstanding in every way! I am an amateur wildlife photographer. This lens provides me with every quality I need to take tack sharp images of flying birds, running cats, and objects moving due to the wind. This lens is even sharper than the original 70-200 mm 2.8 lens. It is outstanding when paired with a camera that has excellent low light capabilities like the D5 Mark III. It is heavier than some lenses and as a woman I thought I might tire too easily holding it. But I get outstanding images hand holding my camera and do not get too tired from doing so. In fact this is my work-horse lens, and I spend hours in the field hand holding my camera and rarely use a tripod. You will not regret having it. Rated 5 out of 5 by Anonymous from Very superior tan the previous version.- I use to have the version I (I sold the lens) so now I have the NEW EF 70-200mm f/2.8L IS II USM and I can tell you that the quality of the pictures is just superior to the naked eye (than the version I). What I notice right away is that the IS system is better (faster) so you can shoot at lower speed: The colors and the contrast in this new monster is just nicer than the predecessor. Canon made a lot of analysis and they just improve one of the best lenses that they have. The technology change a lot in 10 years so that is way Canon changed the lens that they develop 10 years ago. So don't be afraid it is just Money you deserve this Monster. Canon only supplies US ONLY WARRANTIES however you can purchase a protection plan that does cover worldwide. Yes, the Canon EF 70-200mm f/2.8L IS II USM Lens is fully compatible for use with the Canon EOS Digital Rebel T5 DSLR camera. Min Canon EOS D5 III er passet for Canon EF 70-200mm f / 2.8L IS II USM Lens eller Canon EF 70-200mm f/2.8L IS II USM? Ja, er fullt ut kompatibel med dette objektivet Canon 5D Mark III. It is great in low light. I use it for taking photos of concerts and dances. I have also used it for various receptions. It's really great for natural candid shots because you can be far away. Sometimes I wish the aperture was able to go to 1.8 or 2.0 but my fix for that is to bump up the ISO a bit then when I open the RAW file I reduce the noise and turn up the exposure. You could also get the cheap 1.8 aperture lens and switch them out when you need. But all in all this is really a great lens and the glass is sharp and clear. How does it work with the Canon C300 Mark 2? How much better quality is the glass in the the IS version versus the non IS? The glass and element are slightly different in the IS version and the IS lens is a little sharper. Will this lens work with a canon 7d? Wondering if it will work on a crop sensor. EVERY Canon lens (that is, EF and EF-S lenses) works on a crop sensor camera body. The EF-S lenses do not work on full framed camera bodies.